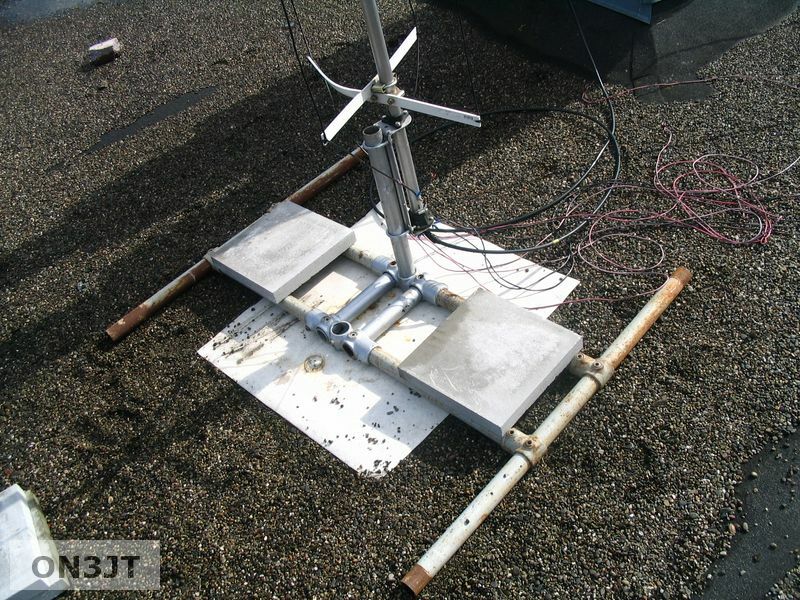 My homebrew HF multiband antenna tipped over during a storm in december 2007. 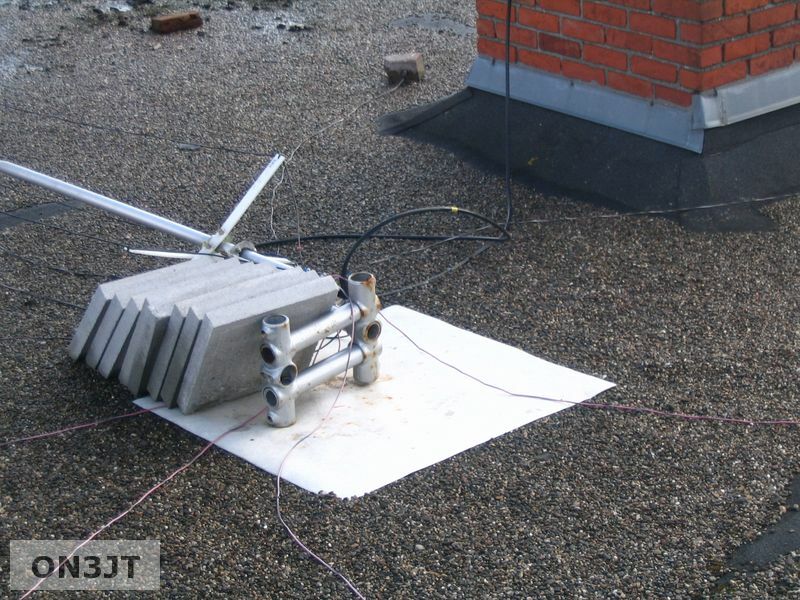 Not a real surprise because the mount was too small to handle the antenna, despite the weight of 8 concrete tiles. I remember that during that evening I was listening to some PSK31 signals on 20m and suddenly they disappeared. A quick SWR check learned me that the antenna was no longer in a vertical position. The next day I looked up from the street and gone was the antenna. Bummer. Weeks passed by. Finally this day was good enough to get all the hardware out of the garage and make the climb to the roof. 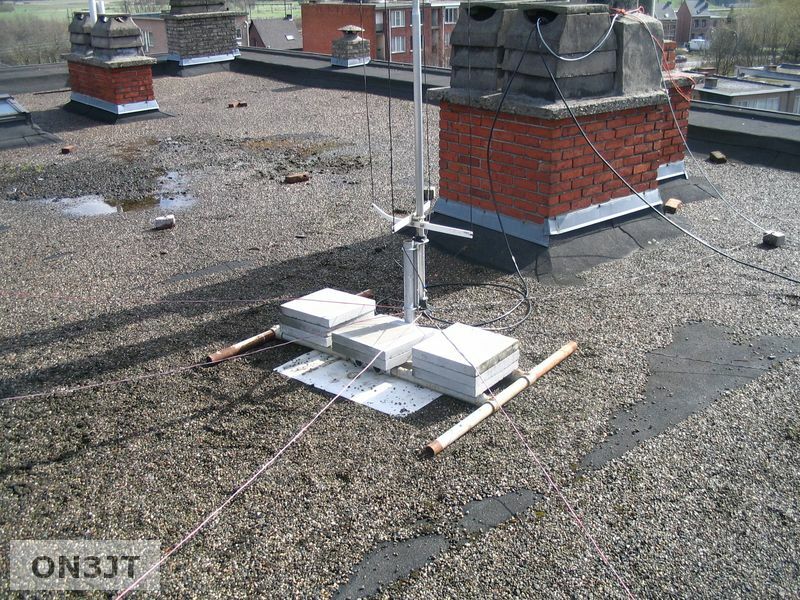 No damage was found on the antenna nor the roof. Added the new hardware to the mount and took some pictures. One hour later everything was checked, tested and ready to be used again. A few hours later I heard some stations during the WPX contest on 15m from Argentina, Aruba and other countries. Yes, it’s working, big smile. This entry was posted on Saturday, March 29th, 2008 at 18:38 and is filed under Antennas. You can follow any responses to this entry through the RSS 2.0 feed. Responses are currently closed, but you can trackback from your own site.